Comments: Florence Gleason (Nee: ) | Havelock NE USA | 1901-1920 | Comments: taken by my great aunt around 1916. Fellow students at Havelock High school. 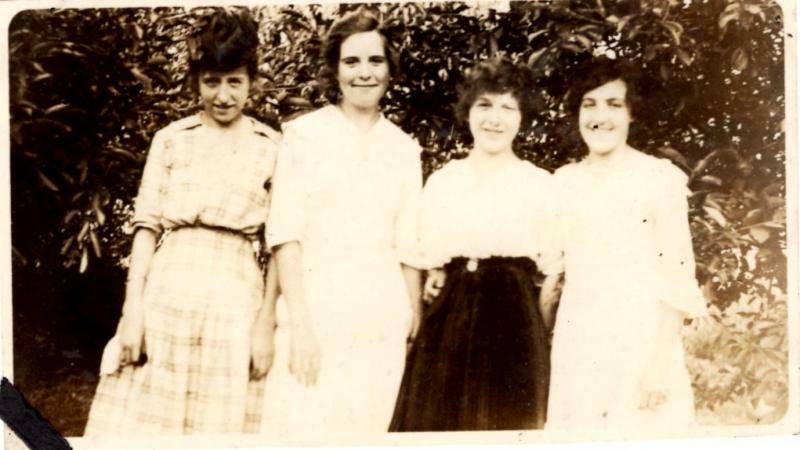 l-r: Florence Gleason, Helen McKinney, Hazel Malone and Adelia Lindekin. In the 1916 Havelock high school yearbook there is a notice that Florence had died! I would be interested in finding out how, if anyone knows.